You may or may not be familiar with the high-street cosmetics and bath/body supplies retailer Lush. If you aren’t, it’s that shop that you walk past that instantly gives you the worst headache you’ve had in years, thanks to the overwhelming combinations of sweet smells spilling out the entrance. Know the one now? Yep, thought so. Well, this week Lush has had some pretty sweet PR coverage, after a mum from Essex appeared on the Daily Mail website claiming that an £8 bottle of lotion she’d bought from the retailer helped her baby daughter sleep for 14 solid hours. Her 18-month-old would often wake five or six times a night and be up playing when she should’ve been sleeping, making life tricky for her mum who had to work in the day. After going in to Lush and asking for help, she was directed to the ‘Sleepy’ body lotion, which is made from oatmeal, lavender and tonka bean. Since applying some to her daughter before bedtime, she’s hailed the cream a ‘miracle’ and said it’s worked wonders. Her daughter now allegedly sleeps solidly through the night for up to 14 hours. The cream was already popular with adults with sleeping difficulties, but was intended initially as a holiday special. Lush brought it back to the shelves due to high demand and it quickly sold out. The story did the rounds on the Mail Online, Metro, Mirror and parenting sites like Made For Mums. It’s also popped up on discussion boards on the likes of Mumsnet forums and also had some non-parenting coverage on places like Cosmo, just for how awesome it is at helping people to sleep. The National Lottery’s PR team had a crisis on its hands this week, after a Twitter campaign it launched was hijacked by trolls. 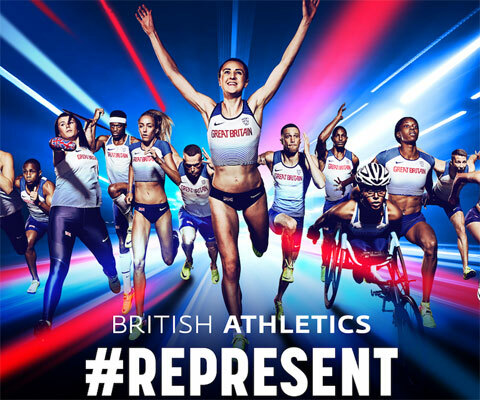 Camelot came up with a way to thank fans who retweeted messages of support for the British athletics team, in a social media campaign using the hashtag #REPRESENT. Names of people who retweeted messages of support and used the hashtag would then appear on the boards being held up by people from the athletics team, with a ‘thanks for your support’ message below. However, these pictures were very quickly edited and shared around Twitter with really vile messages relating to Jimmy Saville, Madeleine McCann, the Hillsborough Tragedy and Thatcher. Hackers shared the images from the official National Lottery Twitter account, prompting the team to tweet a message at around 2am telling followers it was aware of what had happened and was looking into it. This was later followed by an apology and a message to say it had regained control of the account. People are comparing it to the disastrous Walkers Crisp ‘Wave’ Twitter campaign starring Gary Lineker, where people could upload a selfie for the chance to wine Champions League final tickets, which would then be featured in a short video clip. The film shows Lineker looking over at the photo he appears to be holding, saying “nice selfie” and thanking the user. The only thing is, people were uploading pictures of people like Fred West, Rolf Harris and Jimmy Savile. This just goes to show that any Twitter campaign has the potential to go spectacularly wrong, thanks to hackers and people who have nothing better to do then wreak havoc, so it’s worth thinking about what could go wrong and having a plan in place should that happen.